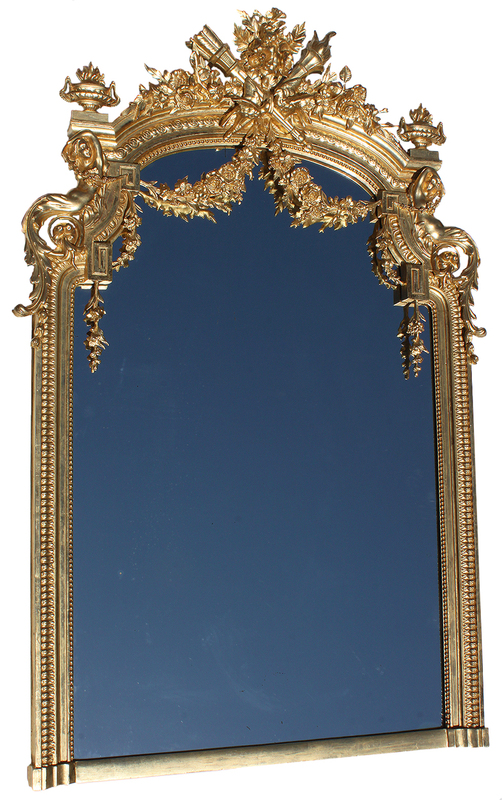 A Fine French 19th Century Louis XV Style Gilt Wood and Gesso Carved Figural Mirror. 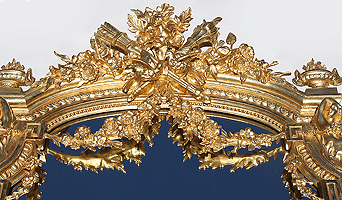 The elongated frame crowned with a pair of allegorical kissing birds among floral bouquets, a crossed torch and quiver above floral garlands and flanked on each side with a pair of resting maidens below flaming urns. Circa: Paris, 1890-1900.